"The DEEP SEA has more history in it than all the museums of the world–combined." 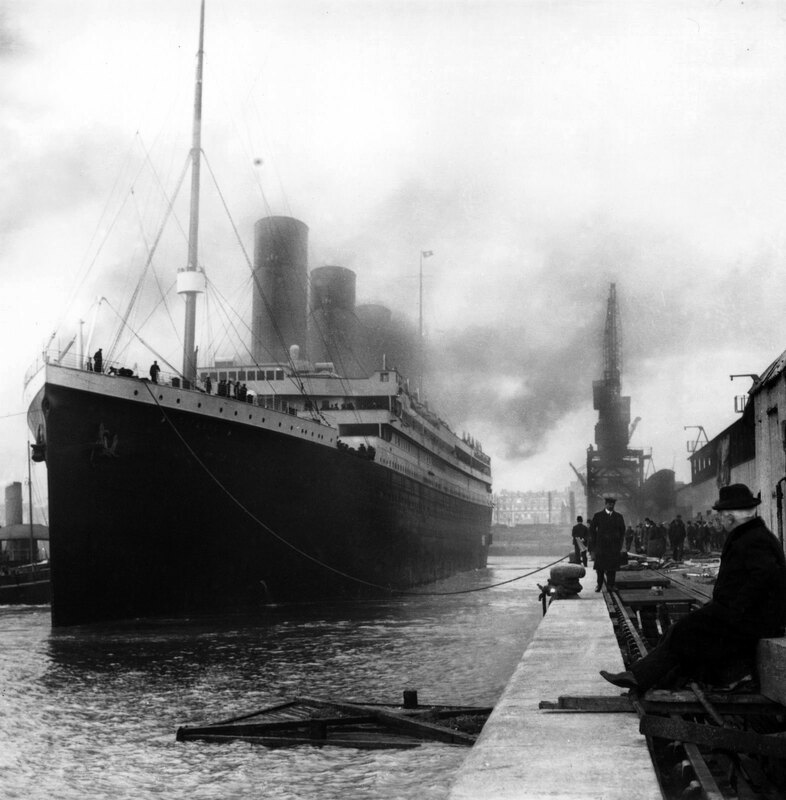 This week marked the centennial of the launching of the Titanic, which occurred on May 31, 1911, so I thought it would be appropriate to share this amazing story with you. 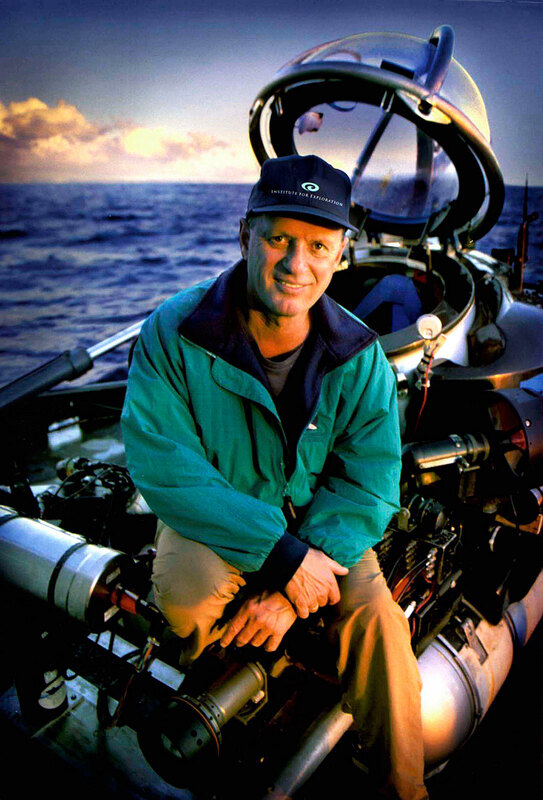 In 2011 we will be exploring some amazing Rolex history and the career of U.S. Navy Commander, Dr. Robert Ballard, which is mind-boggling. In this story we will learn all about his phenomenal career achievements including how he discovered the Titanic in its underwater DEEP-SEA grave 25 years ago. 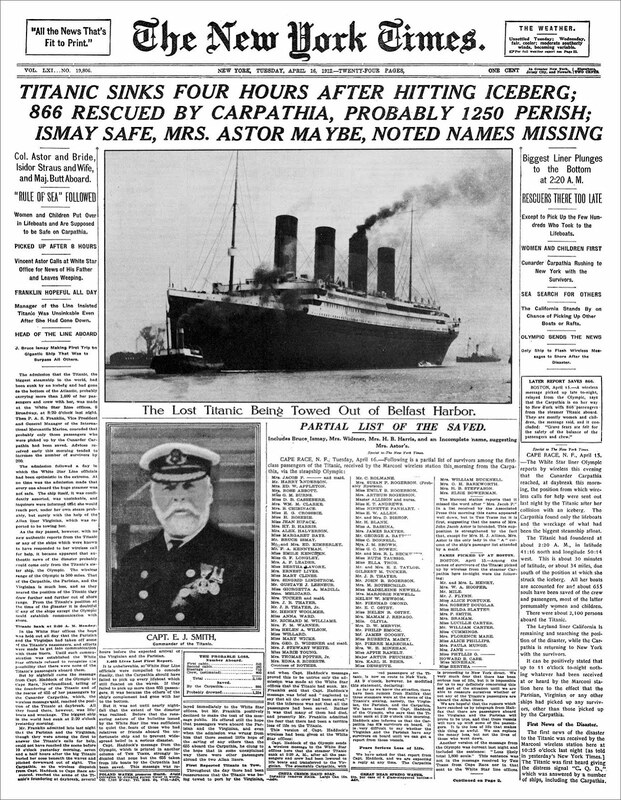 As a matter of fact, the 25th Anniversary of his discovering the RMS Titanic is coming up on July 1st, 1985. 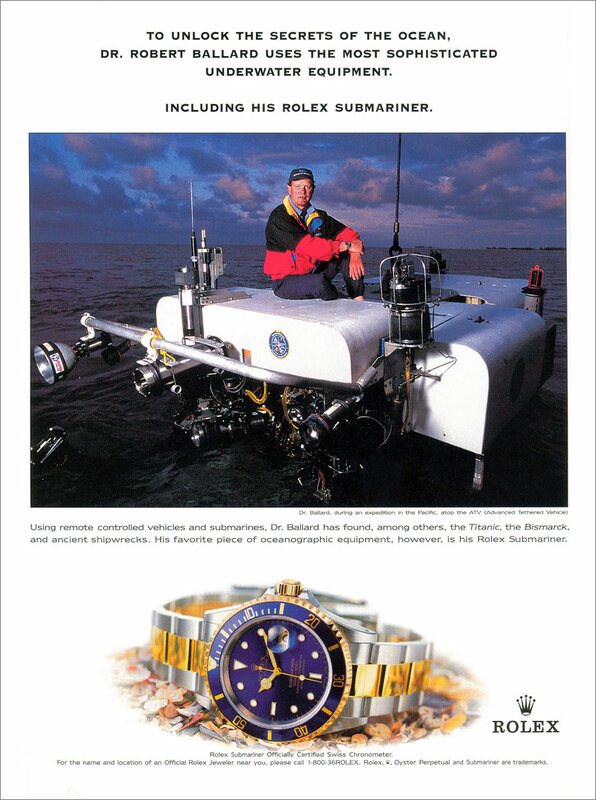 Dr. Robert Ballard is featured below in this fascinating vintage Rolex Submariner magazine advertisement. 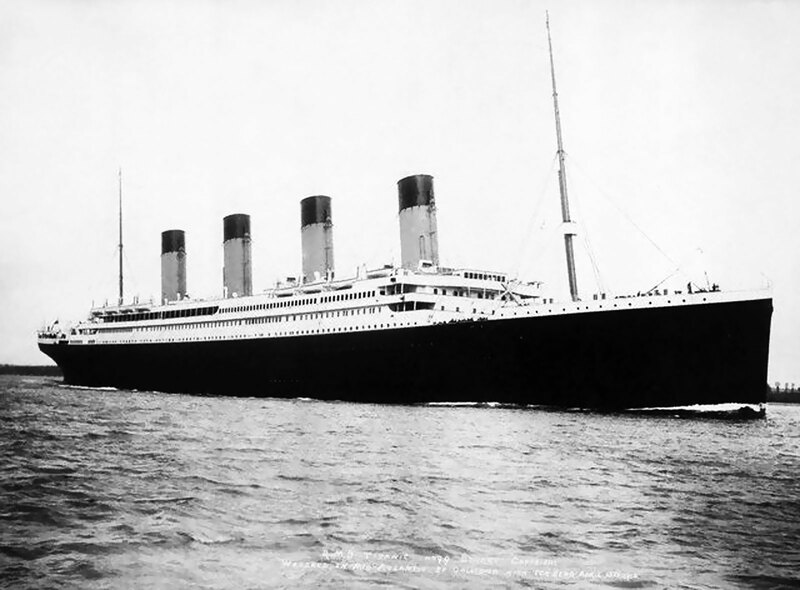 In this upcoming story on Dr. Robert Ballard's career, we will explore the most amazing luxury liner that hit an iceberg on April 14, 1912 and sank. The RMS Titanic story is truly epic. As a side note, director James Cameron made a movie named Titanic which is the highest grossing movie in history bringing in $1.8 Billion at the box office. 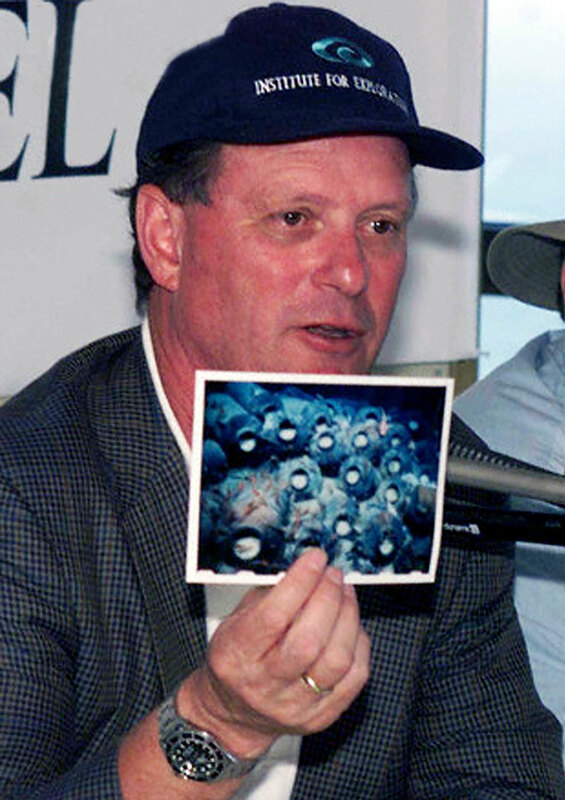 James Cameron wears a Rolex Submariner and the character in the movie played by Bill Paxton who plays Robert Ballard's character also wears a Rolex Submariner. 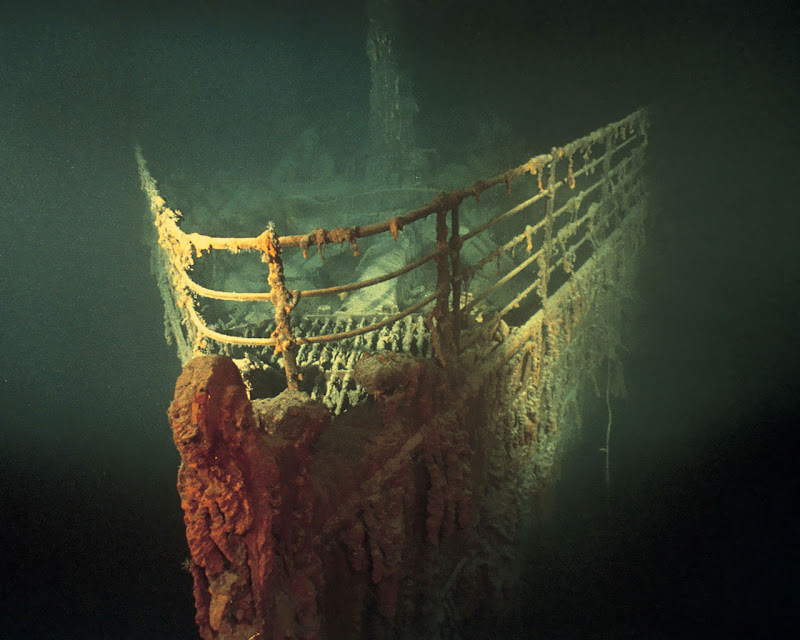 In this story we will learn all about how Dr. Robert Ballard found the RMS Titanic and we will even learn about the never before documented connection between the Titanic and the U.S. Navy SEA-LAB. 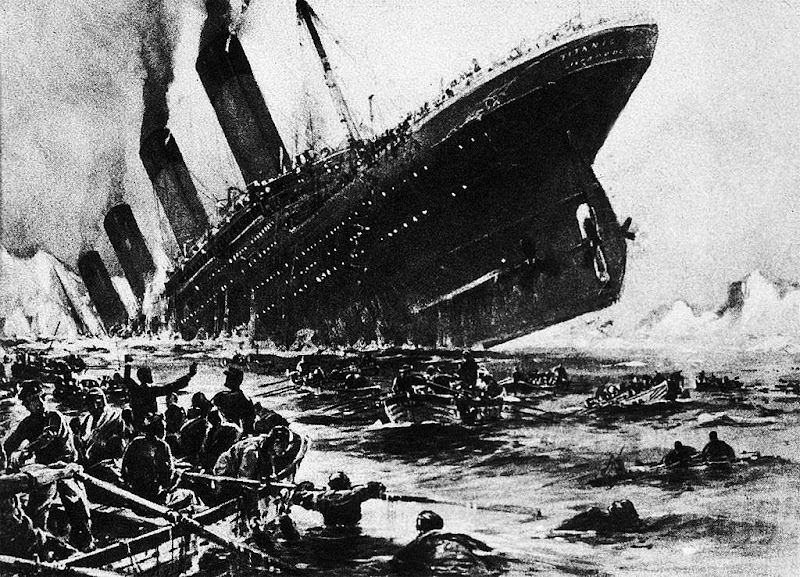 In this amazing story we will explore the actual Titanic wreckage and see some fascinating photos.